Compact teardrop, sleeps two and so light that any car can hook up and go. The tailgate lifts up to a kitchen which is fully equipped with a sink, one burner stove and fridge. Inside is a Queen bed with a Tv and Dvd player. All you need is to organize your next getaway. 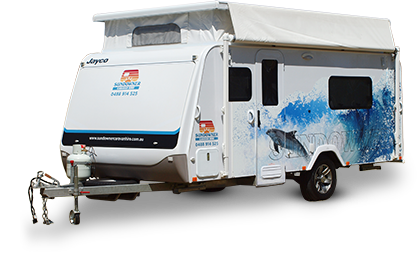 Consumers Protection W.A licence number MH380,to hire out caravans to public.